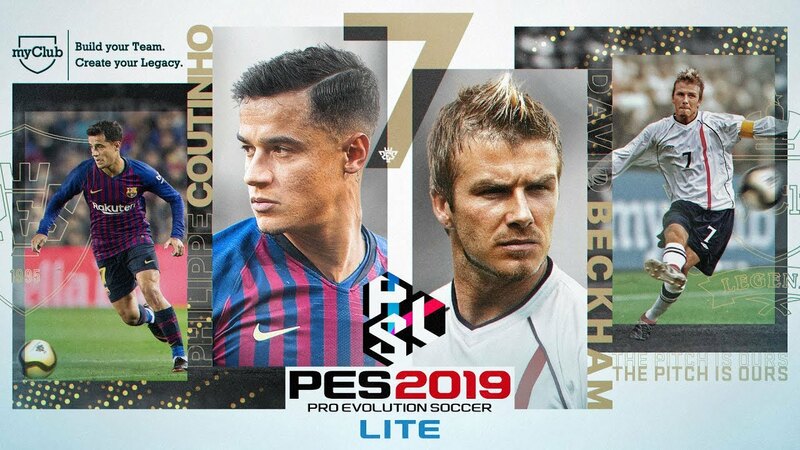 We are excited to announce that the free-to-play* edition of PES 2019 is now available via download for PlayStation®4, Xbox One™ and PC STEAM, enabling users to play a range of online and offline game modes from the full version of the football simulation series. PES 2019 LITE offers unrestricted access to myClub mode, that allows players to sign current footballing superstars and legends such as David Beckham, Diego Maradona and Gabriel Batistuta, as well as FC Barcelona's Ronaldinho, Inter's Recoba, Cambiasso, Djorkaeff and Adriano, with more to be added following launch. New to myClub this year is Featured Players, whose abilities are influenced by their performance in the previous weekend's fixtures. Available every week, these special players will have boosted stats based on their match performance, with some even receiving new skills. Don't miss this opportunity to build your own dream squad through PES's flagship mode! Additional modes such as offline exhibition matches and skill training are available, alongside PES LEAGUE mode, enabling players to take on the challenge of being the best PES player in the world – either through 1v1 or CO-OP competitions. PES LEAGUE mode will also allow players to qualify for global events by participating in CO-OP (3v3) ONLINE Championship, time limited tournaments. This year's LITE edition also includes EDIT mode in which you can customize teams, players, uniforms, stadiums and strips to add your own unique flavor to the world of football or easily import edit data made from other players.